I have MODIS EVI file stacking with 10bands. I use Python 3 in Spyder. I'm trying to rastersize shapefile and do mask to my MODIS EVI. Do I need to delete the value 0 or not? And how can I show my out_images in Python? The values are so big. How can I apply a scale factor *1/10000 to have values (-1,1)? 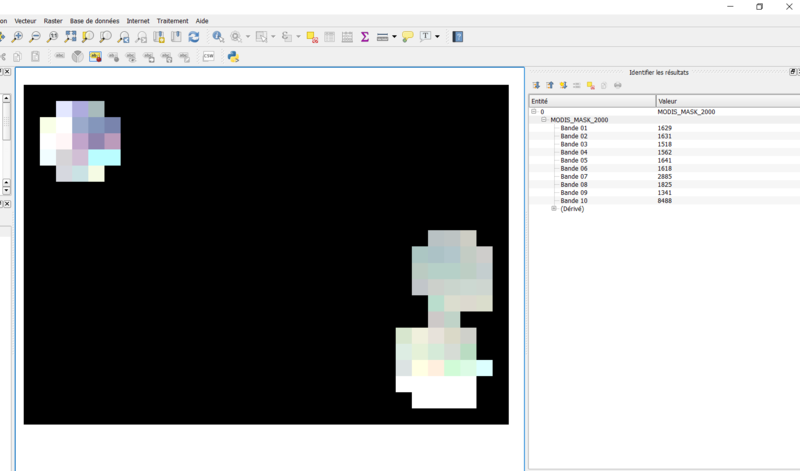 - How can I calculate statistics ( mean of pixel of my out_image just inside the area not in black area )! Because I need just mean of pixel for all bands to export after in dataframe! Browse other questions tagged python modis evi cell-statistics or ask your own question.